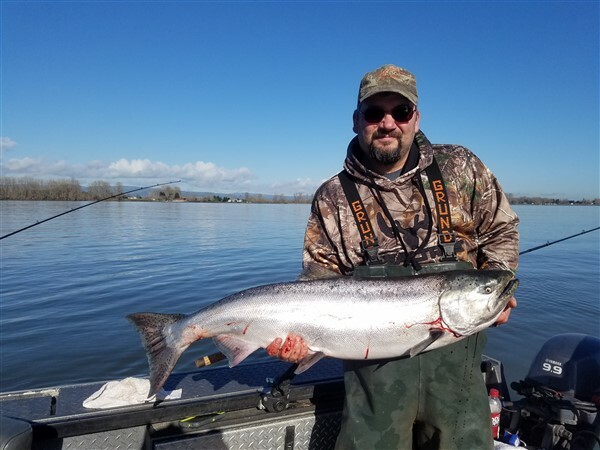 Oregon fishing guide that specializes in salmon, steelhead, and sturgeon fishing on Northwest rivers and Bays. 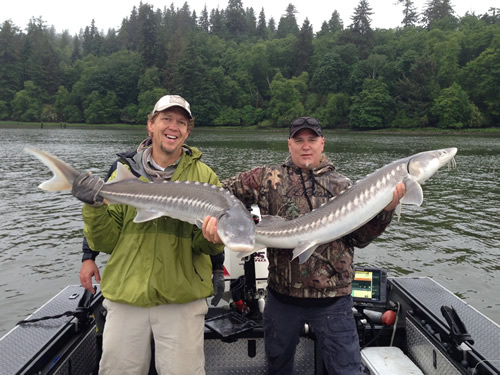 Goins Outdoor Adventures is an Oregon Fishing Guide with over 25 years’ experience. 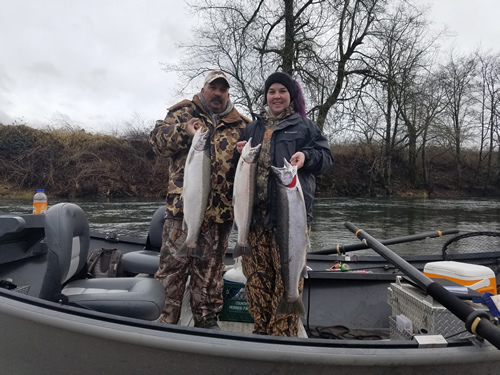 We specialize in Salmon, Steelhead and Sturgeon fishing in the most popular rivers and bays in the Northwest, from the Columbia River, the Tillamook Bay and surrounding area and throughout the Pacific Ocean. 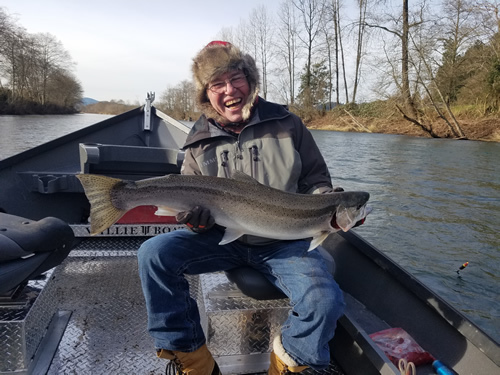 Oregon is a state with world class fishing year around. 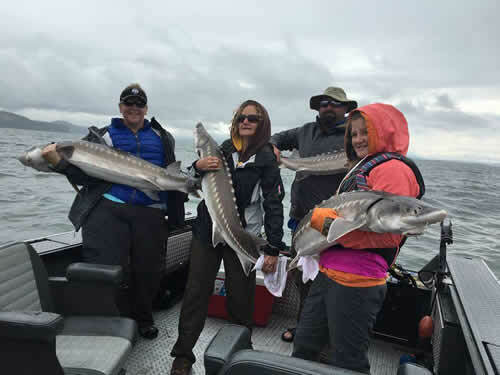 Whether you are a Corporation looking to entertain clients or just someone looking for a great day on the water with friends or family, we have a wide selection of fishing trips to offer on either Powerboat or drift boat. Feel free to give us a call at 503-434-7691 with any questions or to book your next adventure. 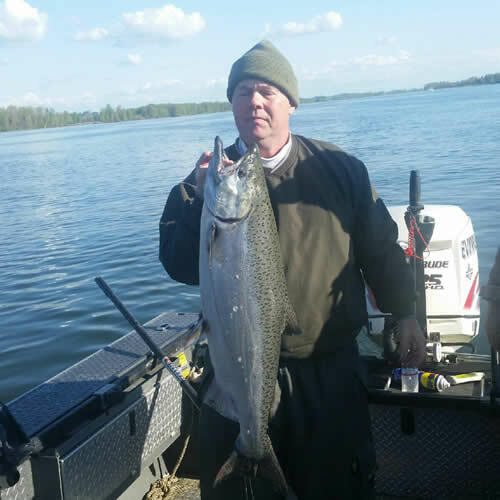 We guaranty you will have a fishing experience of a lifetime. Reserve your next adventure with us today! 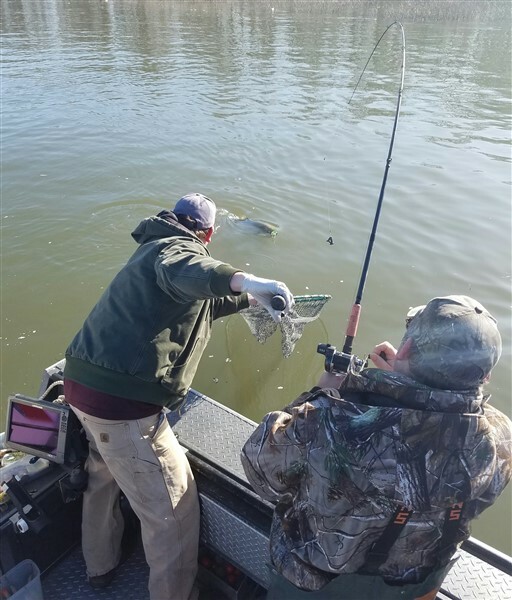 Fishing with a guide who goes the extra mile to make sure you catch your fish, while hanging out with good friends. Cant beat it! Thanks again Bruce for another unforgettable fishing adventure! Can’t thank you enough for the trip today. I wanted so bad to get my guys on some kings and man did you deliver in a big way. As we pulled the fish off the grill tonight those guys were still talking about it. You were great with the first timers and we all learned a lot, especially me. That bite this morning was unbelievable, hooking a quad with all kings was amazing and you did an awesome job talking us through it. 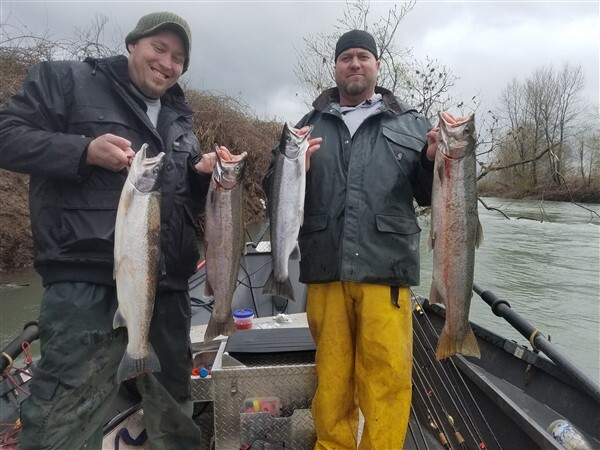 I’m pretty sure you created two new passionate salmon fisherman today. It was great to meet you and spend the day out there, we will all carry the memory of that bite this morning forever, thanks again! Lance I was nervous about fishing with a new guide but you weren’t kidding when you said Bruce had it dialed in. Best referral I’ve ever had, you chose your partner well!! Thanks again for the killer day guys. Very experienced, been out twice with Bruce now and will not being going out on a guided trip with anyone else. Works very hard to make sure everyone gets their fish. Very friendly and professional as well. Bruce is the real deal, I have been a full time guide for longer then he has but I can tell you he is a guy I respect, look up to and hope to be as good as someday. 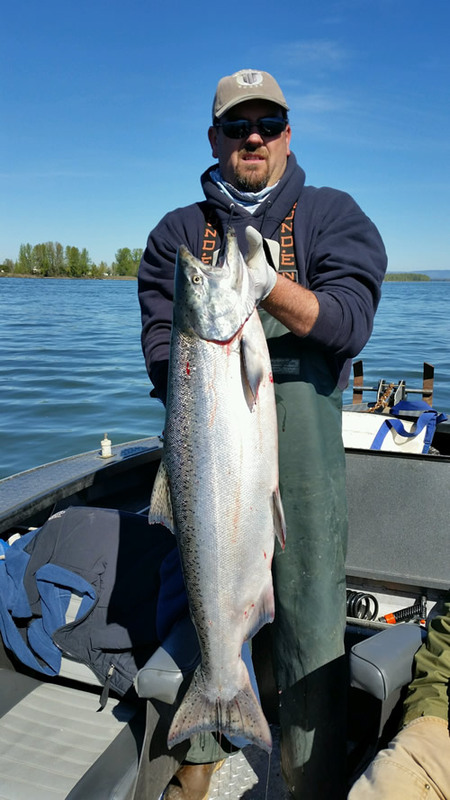 He puts the wood to the fish all over the NW. 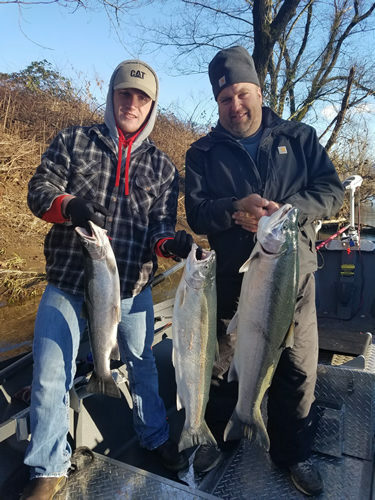 The Goins Outdoor Adventures gift certificate is a great way to spoil your loved ones by offering them a fishing adventure of a lifetime with a professional Oregon fishing guide. ©2017 Goins Outdoor Adventures | All Rights Reserved | Powered by FME Inc.